We still love you, Demon! The track-focused 2018 Ford GT road car beats the drag strip-focused 2018 Dodge Demon in a half-mile race. We still love you, Demon. 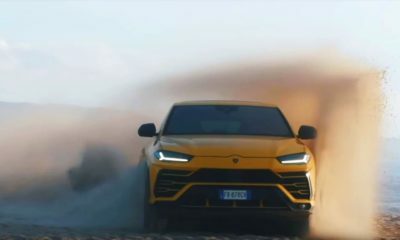 When you pit a lightweight supercar against a heavy muscle car loaded with horses in a drag race, it’s reasonable to hope that the latter wins the duel. There are videos on YouTube supporting the existence of the aforementioned outcome. 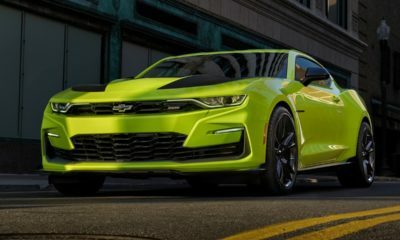 However, the supercar won this bout hands down when the 2018 Ford GT and the 2018 Dodge Demon engaged in a half-mile drag race. 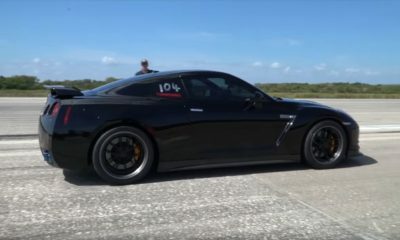 In a video shared by YouTube channel DragTimes, the Ford and the Dodge battled it out on a runway for a half -mile distance. The brochure numbers were in Dodge Demon’s favor, especially the 840 hp power output from the 6.2-liter supercharged V8, Race ECU, Race air filter and 100 octane fuel. But the 2-tonne weight wasn’t. As for the Ford GT, the smaller 3.5-liter twin-turbo V6 motor produced 647 hp of power which is nothing on paper when compared to the horses unleashed by the juggernaut of an engine under the Demon’s hood. The Ford’s biggest advantages though were the low-slung design, track-focused engineering, and lightweight construction. After the pedals were floored and the wheels were spun, the Demon never really had a chance here. The Ford GT annihilated the beast from Hell without breaking a sweat. But we continue to admire the Dodge Demon for its capability to cover a quarter-mile in under 10 seconds, despite being heavy as a yacht and possessing the aerodynamics of a brick. McLaren 720S Finally Loses a Drag Race to a …?